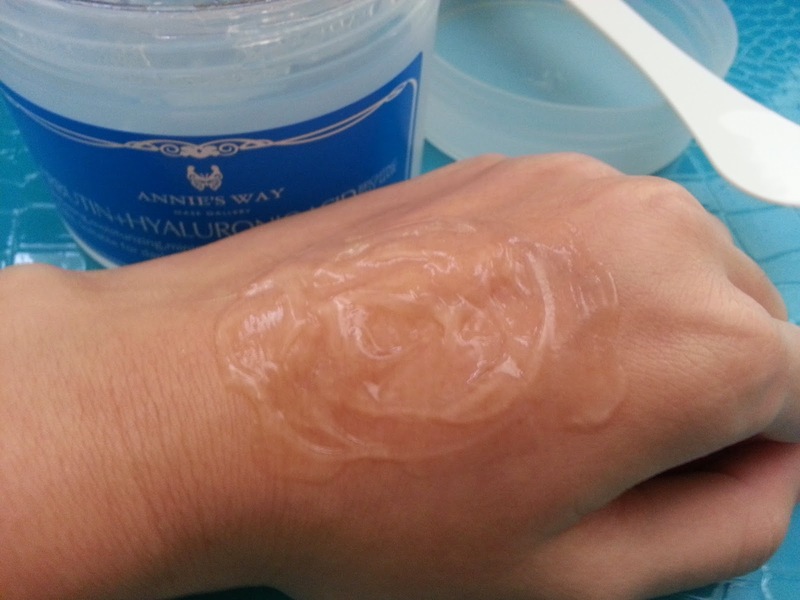 Annie's Way is a Taiwanese cosmetic brand, known for their Jelly Masks. The masks come in 10 different types and as mentioned above, I will be reviewing the Arbutin and Hyaluronic Acid Brighting Jelly Mask today. Product Description: A revitalizing jelly mask to moisturize and brighten the skin. It can help minimize dark spots and even out skin tones for a fair complexion. It is also great for removing impurities in the pores and help to minimize fine lines. This mask can be used weekly. 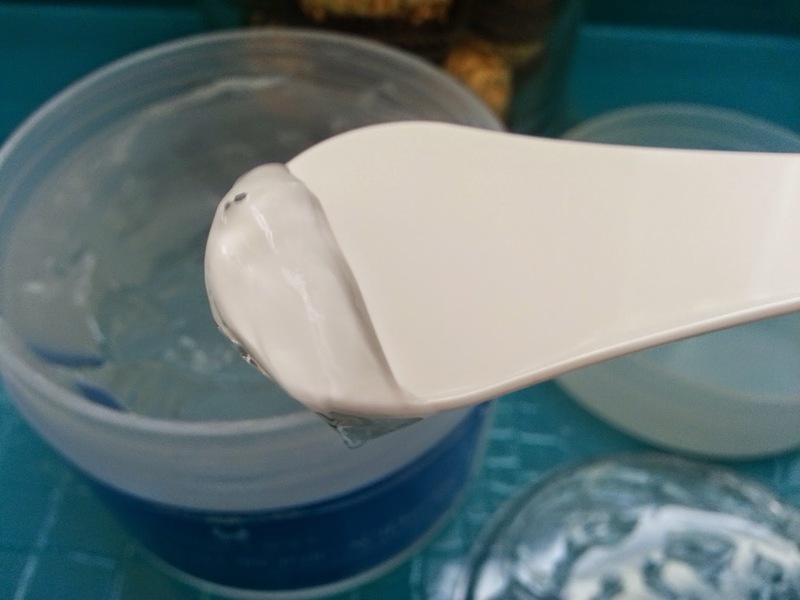 Simply use the spatula to scoop desired amount and apply all over the face after your double cleanse routine and toner. Generally, apply the mask 3mm to 5mm thick. Leave it on for 30 minutes than scrape it off gently with the spatula. Rinse thoroughly with water and follow up with your skincare routine. Distilled Water, carbopol 940, Hyaluronic Acid, Butylene Glycol, Arbutin Extract, vitamin E, vitamin C, Magnesium Ascorbyl Phosphate, Dipotassium Glycyrrhizinate, D-panthenol, Methylisothia-zolinone, lodopropynyl Butylcarbamate. 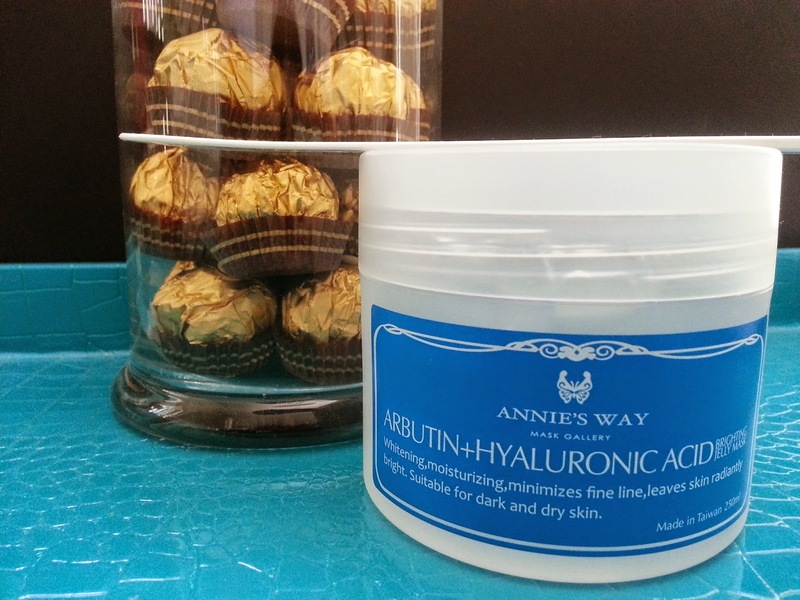 My Thoughts: The Annie's Way Arbutin and Hyaluronic Acid Brighting Jelly Mask comes in a clear color as seen in the picture above. It's got a jelly texture that's quite fun to apply. I never really measure how much I put on my face, it's always a rough estimate. The mask has a light scent that smells like fruity sparkling water. The scent is so light that it took me forever to kind of figure out what it is. The only complaints I have for this mask is that it's hard to wash off and even though it's a big tub, the products do not last long. To wash off, you not only have to scrape the product off first with the spatula, you also have to wash off any reminder product. That washing off part can take time. Not to worry though, because I've found the prefect trick to help. *Simply take a damp washcloth, wet it then wipe off the reminder products. I usually splash some water on my face afterwards before I apply my night time products. Even though the Annie's Way Jelly Masks comes in a large container, you generally have to use quite a bit per use. It lasts about 18 uses in total per container is not a lot. However, due to the many amazing properties this mask provides for the skin, I still love it lots. Here's what the jelly mask looks like on the back of my hand. It looks just like a blob of jelly. It seriously feels like jelly too. What I love most about this mask is that it does a wonderful job at brightening my complexion. It does remove blackheads and impurities as well, which is a total plus. It's also very moisturizing and not drying at all. I especially love the refreshing feeling this mask leaves on the face after using it. Plus, it leaves my skin smooth and soft as well. This is what the mask looks like after it's been spread. It's got a light cooling feeling to it which feels very nice when applied to the face. Below you'll see a picture with the void seal. 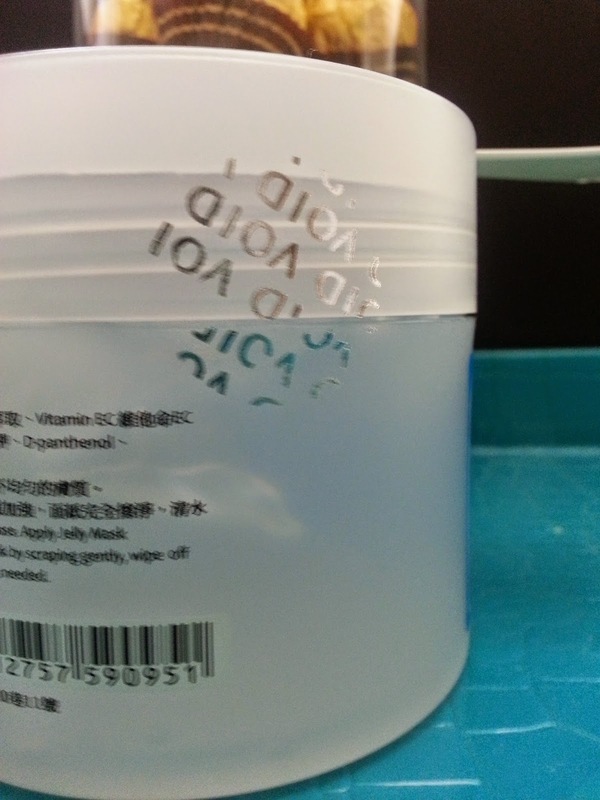 When you first receive the product it should have a round sticker on the container. Once taken off, it should look like the picture below. That's how you determine if the product is authentic or not. 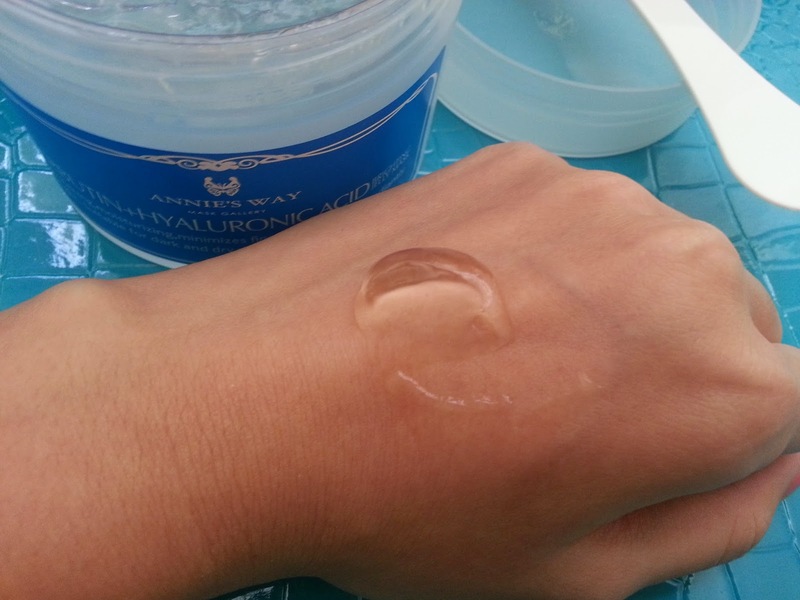 Would I purchase this Annie's Way Hyaluronic Acid Brighting Jelly Mask in the future? Most definitely! For $20, this product is awesome. Not only does it have a unique texture, it's also got many amazing skin care properties. 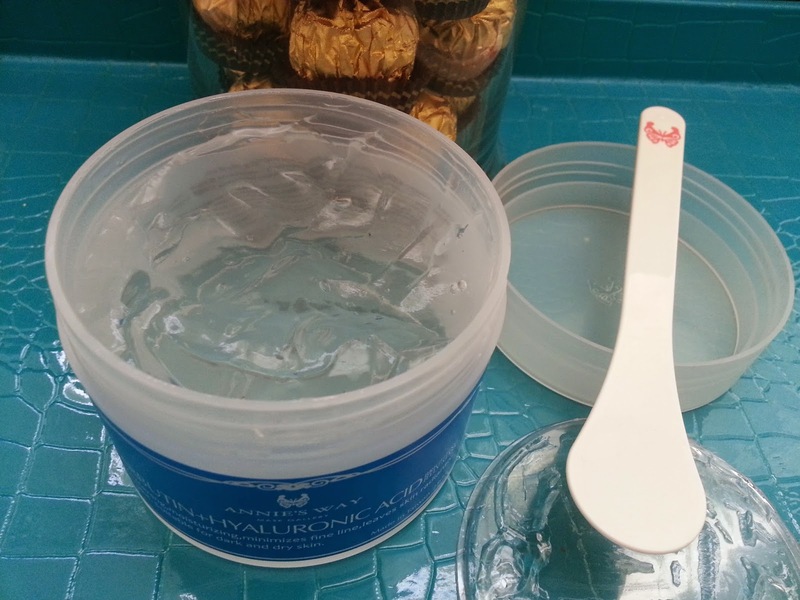 Once I am done with this container of jelly mask, I want to purchase and try other types of Annie's Way Jelly Masks. Their Charcoal Black Jelly Mask is on my to buy list! I also want to try their Rose Essence and the Italy Red Wine Jelly Mask. Have you heard about Annie's Way Jelly Masks? Which ones would you like to try? Leave a comment below and let me know! Disclosure: The product was purchased by me and all the opinions are honest and my own. This post contains affiliate links and thank you in advance if you choose to use them.